Want to connect with Jnd? 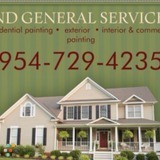 Residential and commercial painting at affordable prices. From exterior to interior painting, power wash, spray painting .